Men’s hairstyles tend toward shorter hair lengths, limiting what can be done with them. 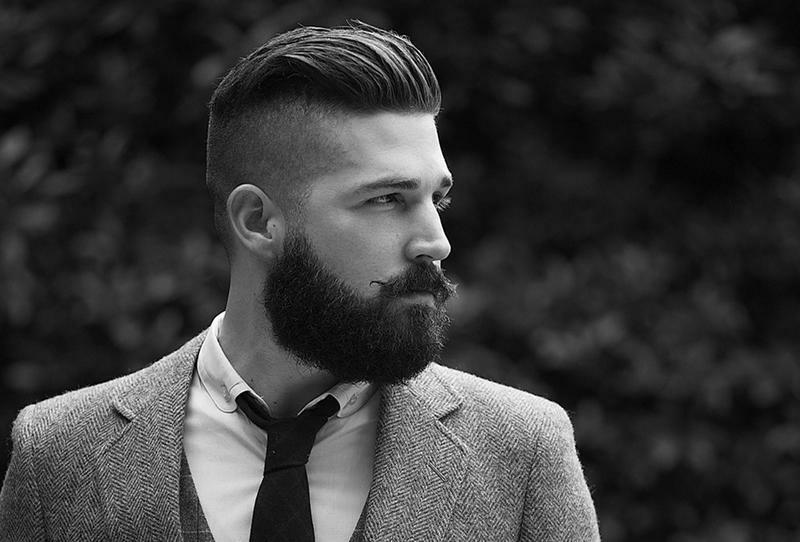 Nonetheless, most men’s hairstyles fall into one of three categories, short, mid-length, or long. Each of these lengths offer something different. Men’s hairstyles fall in and out of vogue from year to year as celebrities help to make one style more popular than another. Selecting a hairstyle is, therefore, sometimes determined by an individual’s preference as well as societal trends. Whether a man wears a short hairstyle or a long hairstyle, he needs to have his hair trimmed on a regular basis to keep it looking neat. Shorter hairstyles often look neater in appearance simply because there is less hair to become tangled, dirty, or messy. Less time is needed to care for hair regarding shampooing and conditioning. Drying also takes less time. Longer hairstyles not only mean more hair, but they also mean more work and care. Longer hair takes more time to shampoo, condition, dry, and style. Plus, men who wear long hair need to pay more attention to the products they use so that their hair looks nice. Typically, longer hair requires greater use of styling products including mousse, sprays, and gels. With short hair, a single brushing is often all that is needed, but with longer hair, a man often needs to brush or comb his hair several times a day. This is particularly true on windy days. Long hair is not common on men today. However, those who do wear long hair generally do not allow it to grow much below the shoulder. Long hair can be worn straight and flowing, braided, or in a ponytail. Whether or not the man also wears bangs is a personal decision, but bangs are not commonly seen on men who wear longer hair. Some men prefer to wear hair that is not quite short or long. The mid-length hairstyle allows them to have the best of both worlds. With regular haircuts and styling, this length of hair can look professional and attractive. Mid-length hair can be sculpted quite readily using hair paste or gel. Hair gel stiffens when it dries so the hair remains in place longer. Hair paste is better used for shorter time periods. While bangs are generally not popular for men with long hairstyles, they are quite common with shorter haircuts. Bangs can be worn in any number of ways. Bangs can be trained to stand straight up using hair gel or paste. Bangs that are pushed forward are commonly referred to as the Caesar cut. Bangs can also be trained to go up and back with a diagonal look. DailyMakeover has tons of great hairstyle ideas in their celebrity hairstyle galleries. Find insightful beauty tips, beauty blogs and tons more at DailyMakeover.com. This simply isn't true. I have had every hairstyle imaginable, long hair is a great deal easier to care for than short hair which requires more frequent trips to the salon and a great deal more product and styling each morning. 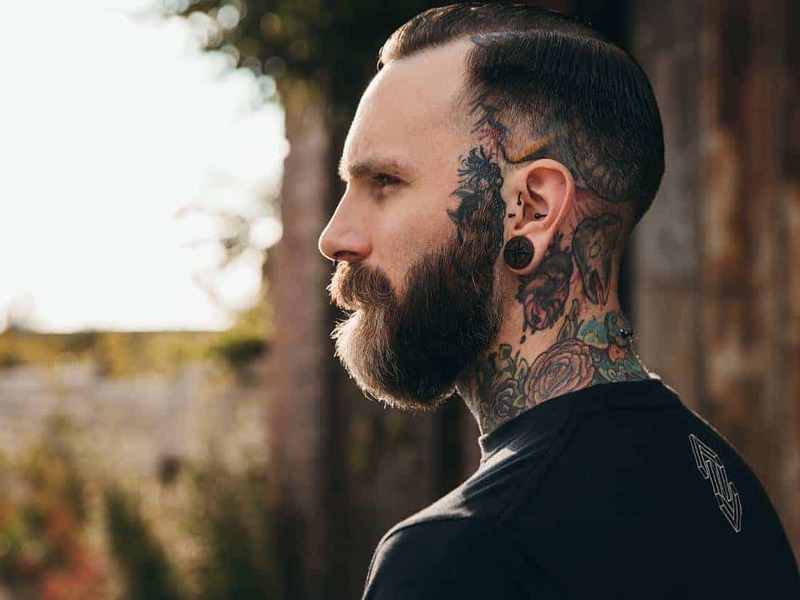 In addition, classic stereotypes such as "short is neat" no longer stand true and many forward thinking individuals have radically changed their opinions on long hair for men. Get with it, friend!